Sir Knight and I were discussing the state of the nation and noticed a disturbing trend. 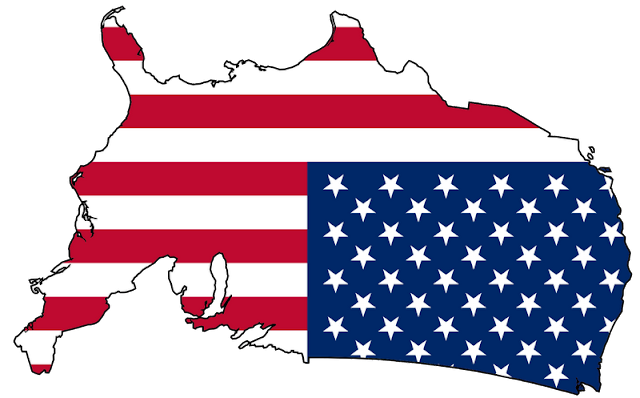 Now, rather than living in the land of the free and the home of the brave, we live in Upside-down Land. You don't know what I could possible mean? Your government believes that the best way to eradicate trillions of dollars of debt is to spend more money. A seven year old boy can be thrown out of school for calling his teacher "cute" but hosting a sexual exploration class on a college campus is perfectly acceptable. The rights of the State come before the rights of the individual. You have to have your parents signature to go on a field trip but not to get an abortion. You can get arrested for expired tabs on your car but not for being in the country illegally. Unfortunately, this list could go on and on. Our world has been turned upside-down. We are in distress. Where do we go from here? To a FEMA concentration camp, of course. everyday there is a headline in the paper that ccould be added to this...sad state of affairs it is. posted on my facebook wall. thank you enola for everything you do..i have learned much. This is so tragically true. Thank you, I posted a link to yours from my blog. So true, but don't despair you aren't alone, the situation is if anything worse here in the UK. I take comfort that the Lord doesn't test the steel with more than the steel can take. As to where we go from here? Wherever it is I suspect the intention is we'll be getting there in a handbasket. What we do is sit and watch, until the personal Boundary line of each citizen is crossed, and becomes so wrought with losses and angst that he must "chose" liberty or death. Evaluate your beliefs and pray to God to recognize your personal limits to "Render unto Caesar". "We have found the enemy, and it is us" Pogo comic strip, a long time ago. Unfortunately, it is not all of us, it's the half of "us" that think the government and other people's money will fix the problems they very often created by their poor choices. They think "we" are the problem, yet they don't even get it that they won't get any more golden eggs, if they kill the geese that lay those golden eggs. Very, very frightening to be dealing with so many people so out of touch with facts. Some talk about a hidden agenda. It looks like it's out in the open to me..
A sad commentary on the direction this country is going. Once I saw a Dilbert cartoon that had one charactor saying "I summon the unholy demons of cynacism, sarcasm and apathy"
Thats about how I feel at the moment thinking of "Upside Down World". In one of the older Superman Comic books there was "Bizzaro World" were everything is the opposite of our world. Bizzaro world were nothing makes sense. Wealthy people making too much money are persecuted and Wall Street Protestors are being praised by the media. This world would make a good "Twighlight Zone" episode in the 1960's. Excellent! I'm posting this to my Fb and when I get home from church I'm going to post it over on my blog for all of my 'ones' of readers. Upside Land kinda looks like an Aardvark. Ironically, if this pacing of downturn events keep spiraling at this swift pace, we will all be searching out ants to survive on. Jesus Christ, Yeshua Messiah cannot come soon enough for me!! Praise Him that we have more to look forward to than man's greedy, corrupt government that is being swept away to usher in the eternal, glorious, righteous and just kingdom of our Christ. Upside land is so true. I cannot believe this is the same country I was born in - it is like a foreign land and I am merely a visitor. Get your beans, bullets, and bandaids ready. We're going to need them sooner than we think. As usual, a brilliant post. P.S. I don't do computer stuff and don't know what a URL is or I'd be me, not anonymous. You know you live in Upside Down Land when "Occupation 101" is the newest college course offered at NYU. If you're not home-schooling your children, what are you waiting for? How very appropriate. The old naval sign of distress is to fly the flag upside-down on the mast of a ship. I can't think of a more appropriate way to exhibit both the flag, and the country in this upside-down orientation. Unfortunately you are spot on. And your right, the list can go on and on. Vote Ron Paul in 2012 and do something constructive to get this nation back on track. He's our only hope, because otherwise your going to get more of the same ole, same ole, unless we as people do something about it! Yes, thank God for Ron Paul bringing to light so many of our lost liberties. We need this man at this hour! We're not only upside down, but sinking into the quicksand of statist abyss! (RTR) – In what can only be considered a tragic irony, the U.S. Senate passed out of the final conference committee the controversial National Defense Authorization Act of 2012, coinciding with the 220th Anniversary of the ratification of the Bill of Rights. Section 1031 of the National Defense Authorization Act otherwise known as the NDAA, provides broad authority for the federal government to use the military in domestic operations in order to detain Americans indefinitely and without trial. I dare say you can't document each of your claims, above. You assume they are taking place in America ("but of course they are") when, in fact, either few or none of these are. I say again, I bet you can't document even the majority of the above. I am in RAGE when I encounter the ostrich people who hide their heads in the ground, refusing to recognize reality. I ask why? Either they are believers in a Socialist, Marxist society... OR, they are blind to the current events and direction our country is being taken. Greed. Immorality. Corruption. At the highest levels and yet they ignore it. Any intelligent mind can see how the media is attempting manipulation of attitudes. I see America repeating the same mistakes of ancient Rome and 1930's Germany. The parallels are too consistent.